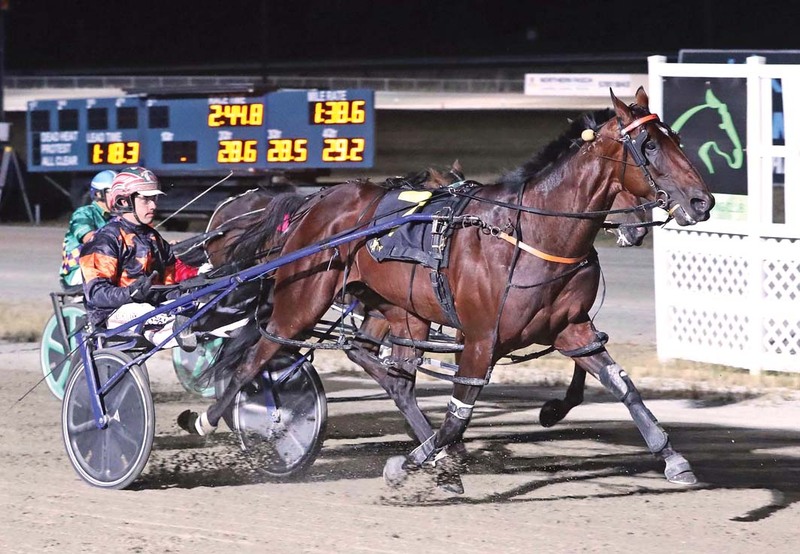 TOP pacer Soho Tribeca will kick start a multi state campaign when he heads to Tabcorp Park Melton on Saturday night. Returning from a 10-week break, Soho Tribeca is poised to contest the Italian Cup for trainer Michael Stanley, who has set his sights on interstate riches during the next six weeks. Beginning with the Len Smith Mile at Menangle on July 1, Stanley will then continue heading north for the Queensland Winter Carnival. Soho Tribeca targets include the Sunshine Sprint and The Blacks A Fake, which doubles as the final leg of the Grand Circuit. “Those races are the plan with him at this stage,” Stanley said. “Hopefully he can do well in those and end his season on a high. As for his pending appearance, the son of American Ideal has drawn the outside of the second row. Despite Soho Tribeca’s awkward starting position Stanley is confident the stallion can emerge triumphant. “It’s not going to be easy, but he is working well enough to suggest he can win from there,” Stanley said. “There are a few handy types in the field, which have strong form and race fitness on their side.